Tickets go on sale Wednesday, 6th February at 9am. LION – aka Beth Lowen makes her Dublin debut at Eastbound. Blessed with a ferocious, Janet Joplin-esque voice, check out ‘Self Control’ and ‘Oh No’ from her eponymous debut EP. HalfNoise is the musical project of Zac Farro, drummer of Paramore. Based in Nashville, Farro formed the project alongside Jason Clark following Farro’s departure from Paramore in 2010. Eastbound is delighted to present Maisie Peters’ first Irish headline show. The Brighton songwriter first emerged in 2017 when her debut single ‘Place We Were Made’ went viral, and 2018’s ‘Worst Of You’ has already hit the 22 million play mark on Spotify. The York York-based 4-piece embarked on their first headline tour in England in early 2018 to coincide with the release of single ‘Portrait I’. Eastbound are delighted to host their first headline show in Dublin’s The Sound house. Described by Pitchfork as ‘dream pop’, Montreal-based Men I Trust release their third studio album – ‘Oncle Jazz’ – later this year. With over 3 million streams on Spotify, Wild Front come to Dublin for an Eastbound headliner before sharing a festival stage with Foals and Two Door Cinema Club this summer. Boy Azooga released their debut album “1,2 Kung Fu” in June 2018 to very favourable reviews, dubbed “bright, exciting and full of effortlessly intelligent song writing” by NME. Formed in 2017, Armagh’s HUNKPAPA haven’t released a single note of music to date yet have scored plaudits from the likes of BBC Radio Ulster and BBC Radio 1. A lethal double-header. Exploding onto the scene in 2018, They have been included in The Guardian’s Ones to Watch 2019 and included in NME’s 100 Essential New Artists for 2019 and The Irish Times calling them out as Ireland’s best new rock band. The Murder Capital are the latest edition to the Eastbound bill for a very special show in Whelan’s, 11 May. Gwenno Saunders is a Welsh Music Prize Winner (for her 2015 debut album Y Dydd Olaf) and former member of The Pipettes. 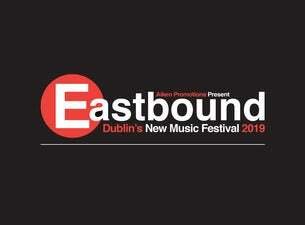 Eastbound will be her first Irish headline show. Self-described as “soul with a sprinkling of pop,” Marni has a voice beyond her years, with soaring vocals and a distinct sound that sets her firmly in her own lane. Influences include Roberta Flack and Anita Baker and contemporary greats such as Amy Winehouse and Lauryn Hill. Eastbound are delighted to announce Just Mustard to the bill this year. Crafting their own unique blend of noise, trip hop and electronic influenced music, they released their debut album ‘Wednesday’ to critical acclaim earning a nomination as album of the year in the 2018 Choice Music Prize. Boasting influences from the Jam to Eminem, Essex-based 3-piece BILK write honest songs to inspire the youth of today, their music being a social commentary to the challenges facing young people today. Australia’s BODY TYPE have played shows with the likes of Big Thief and Pond and have already graced the stages of Gizzfest, Bigsound and Fairgrounds festivals at home. Occupying a bold centre-point between Afrofuturism, grime and future soul – all fused together with the fearless spontaneity of jazz – Steam Down’s weekly sessions at London’s Buster Mantis club are already the stuff of legend. RHYS LEWIS started 2019 with the release of a new single ‘Better Than Today’ on January 4th which has already passed the 1 million stream mark. He has toured with artists like JP Cooper, James TW and Freya Ridings, and Eastbound will be Rhys’ first Irish headline show.